​We’re often asked about tax brackets and how it works when lump sums of money are taken (such as 401k distributions, severance pay, one-time pension payouts, etc.). The key is to remember we’re in a progressive income tax system, meaning higher levels of income are taxed at higher rates. Your marginal tax rate is the percentage you pay on the “last dollar” of taxable income that you earn; but your effective tax rate is the averaged percentage you pay on all taxable income, which is generally less than the marginal tax rate percentage. See the image below showing our Federal Tax Bracket for 2019. So using the rates above, you can see that a married couple filing jointly would pay 10% income tax on their first $19,400 in taxable income in the 2019 tax year. That couple then pays 12% on taxable income above $19,400 up to $78,950...then 22% on taxable income above $78,950 up to $168,400 and so forth. This puts the couple’s marginal tax bracket at 22%, since that’s the highest tax rate applied to any of that couple’s income. But as a percentage of the whole $100,000, the tax is about 13.717% ($13,717.00 taxes on $100,000 income). So anytime a lump-sum distribution is considered, it’s important to know that the distribution income will be taxed at your highest marginal tax bracket. This is something to think about when looking at a withdrawal of retirement accounts in order to pay-off debt, buy a house, etc...especially if that withdrawal is considered an early distribution and will also be subject to penalties (IRS is 10% and CA is 2.5%). This could bring the taxes on that distribution to over 50% of the withdrawn amount. 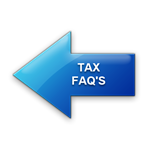 To view more info on tax rates, including a link for Tax Rate Tables, click here.